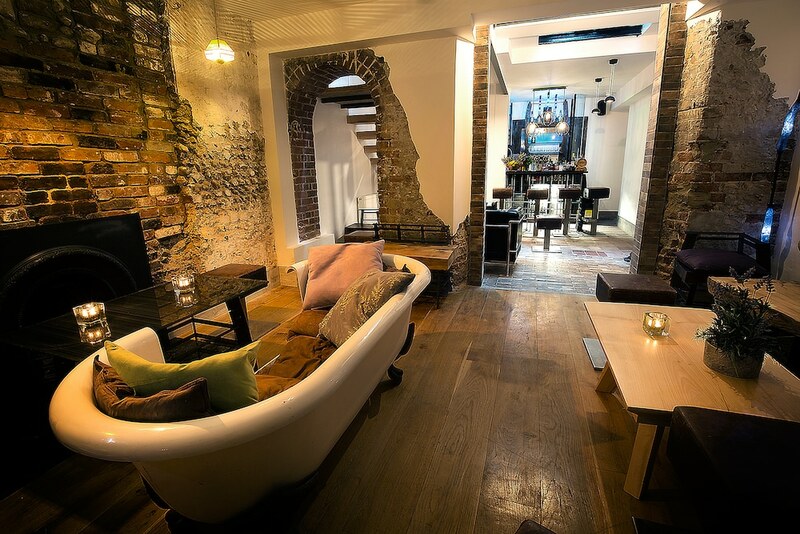 The Una Bar, part of award winning boutique Hotel Una, is situated in the Regency Square just behind the shopping metropolis of Churchill Square near to the i360. 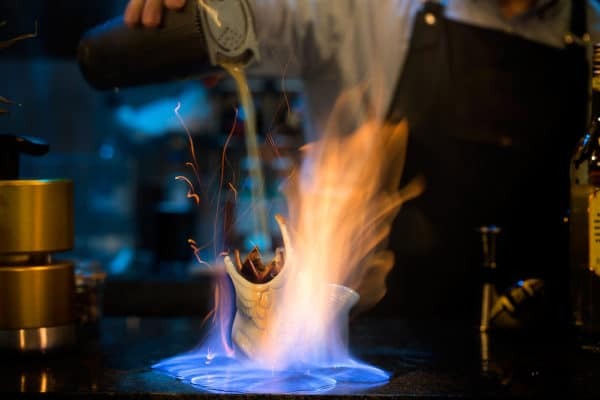 Una Bar has for many years been off the radar of most, it has been the privileged intel reserved for the hotel guests, who, in popping down for a quick drink discover they have struck gold. The décor at Una Bar is relaxed and welcoming, with deep toffee-coloured leather seats and stripped back wooden floor and tables. The large Regency windows pour in light during the day and intimate occasional lighting breeds an atmosphere of exclusivity at night. Una Bar is a hidden gem, an oasis of unique charm and personal service hidden behind the heaving epicentre of Brighton’s most commercial area, Western Road. 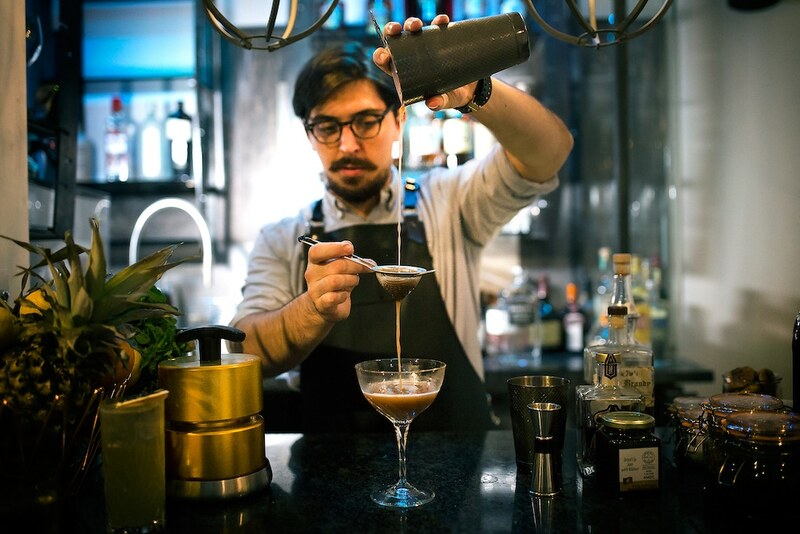 For those in the know, Una Bar’s unique offering is made all the more special by its obscurity and it’s a reputation bar manager, Pietro Giubelli, is keen to protect. Pietro worked in the hospitality industry in Italy and Greece before attending the European Barter School in Manchester. 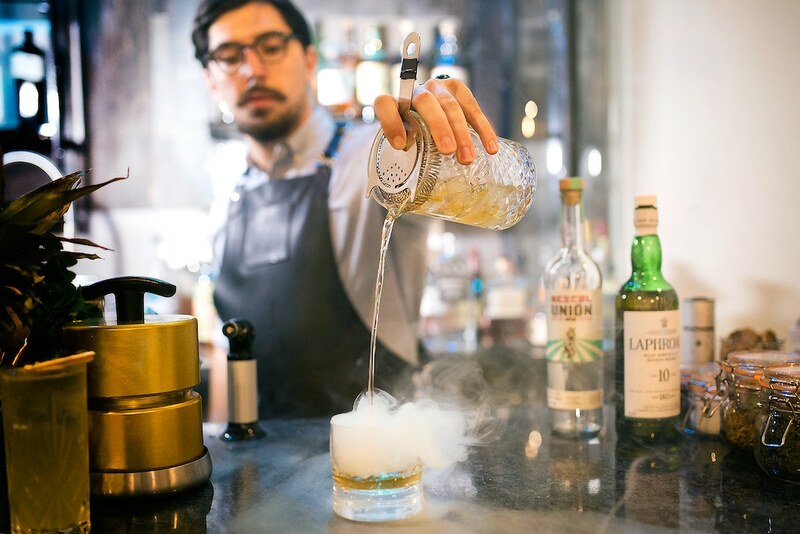 It is his belief that each drink should have a story or a memory, and that the history of quality spirits form an important part of the drink itself. 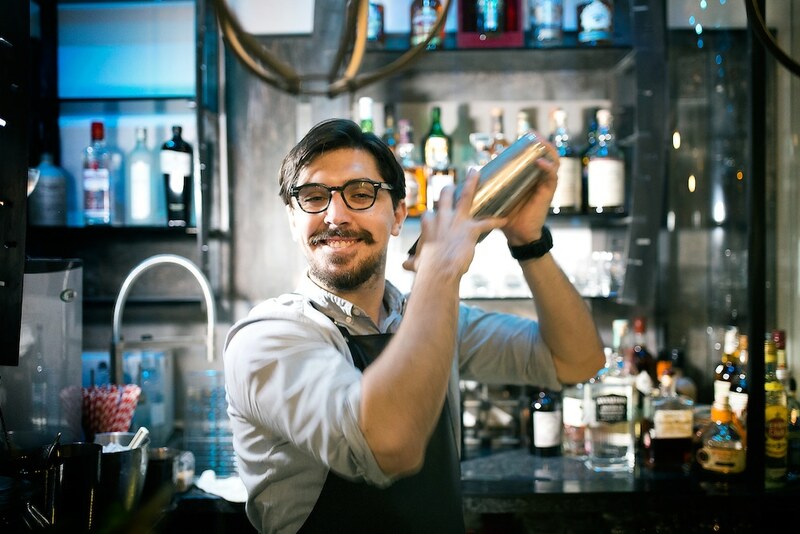 Pietro’s vision of Una Bar is a place where guests can experience the lost art of bartending; itself a cocktail of attentive hosting, charming and informative conversation, superbly mixed drinks and comfortable surroundings. 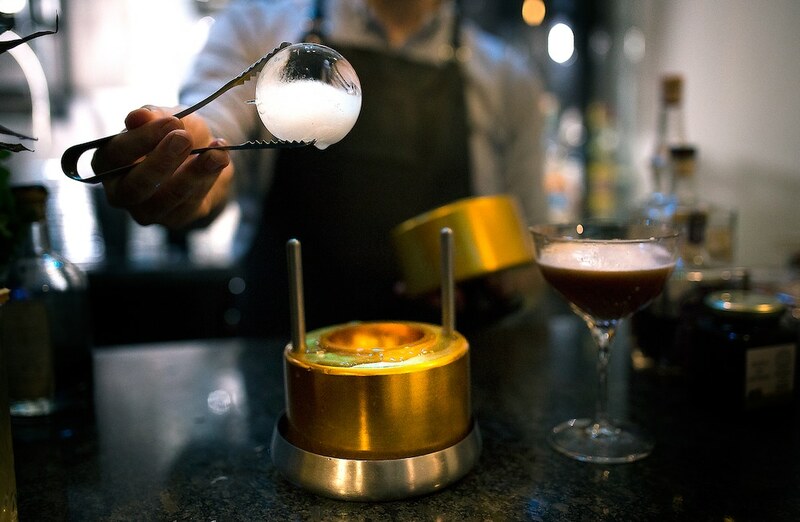 Cocktails here are mixed to expertly developed recipes, although the team are always happy to mix to specific tastes and can even keep a record of your perfect cocktail so that you can return to it time and again. Their signature Negroni, the Heritage 55, was developed by Ben Leggett, founder of Bar Una and Elemental Bitters Distillery. The Negroni is the only pre-mixed cocktail on the menu due to it being aged for two months in an Hungarian Oak barrel; it’s smooth but intense and sneak-up-on-you strong – a must try! 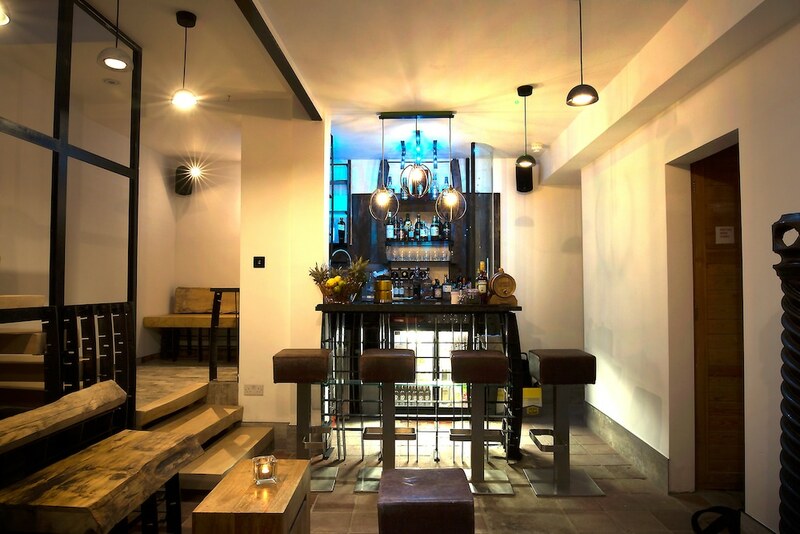 The bar has a simple selection of quality wines available by the glass, with more available by the bottle and a careful selection of beers and ales from carefully selected brewers. 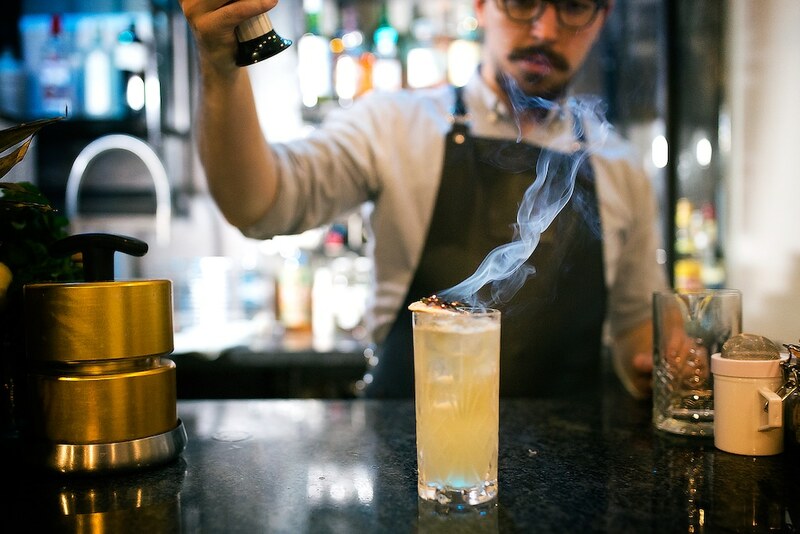 With an extensive range of whiskeys and rare and unusual spirits, Una Bar is a connoisseurs haven, where you are invited to pull up a bar stool to talk, drink and discover with Pietro and his knowledgeable team. Stunning new referb at Hotel Una’s cocktail bar UnaBar. A must try is their Negroni, barrel aged and one of the best in the city!